“That has to be, in the history of propaganda in the 20th and 21st centuries, one of the most outrageous claims that I can think of,” John Bolton stated in response to Moscow’s charge that anti-Assad insurgents in Idlib are preparing a chemical false flag in order to hasten a US attack on Damascus, according to a new Wall Street Journal report. 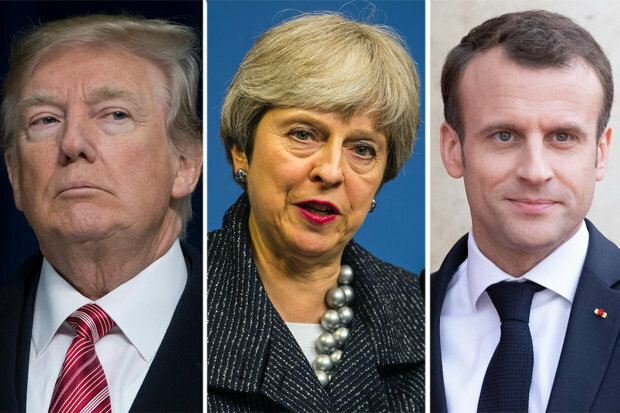 The WSJ has revealed the White House is now in direct talks with the U.K. and France over plans for a possible third round of coordinated strikes on Syria should the Syrian Army use chemical weapons during its Idlib assault. The news comes a day after Bolton indicated during a speech that the US and its allies Syria would respond with much “stronger” and harsher action against Damascus. Also, early this week there were reports that Germany is mulling over whether to agree to a request by the United States that it join any potential strikes on Syria, though such a move is expected to be too politically divisive for Germany to agree. Thus far a Russian air attack on Idlib is underway, with international reports saying about 70 strikes have occurred on Idlib in the past days. Syria pro-government forces have amassed around Idlib Province and are said to number as many as 100,000. If true this would be the largest mustering of Syrian forces for any single battle throughout the seven year long conflict. Meanwhile the United Nations has warned of an impending humanitarian disaster, and a UN Security Council meeting chaired by the US is set to be held on Tuesday morning, according to the WSJ. On Monday the WSJ reported that unnamed US officials now claim to be in possession of intelligence which they say shows Assad has already given the order to conduct a chlorine gas attack in an absolutely unprecedented level of “pre-crime” telegraphing of events on the battlefield. Fears of a massacre have been fueled by new U.S. intelligence indicating Mr. Assad has cleared the way for the military to use chlorine gas in any offensive, U.S. officials said. It wasn’t clear from the latest intelligence if Mr. Assad also had given the military permission to use sarin gas, the deadly nerve agent used several times in previous regime attacks on rebel-held areas. It is banned under international law. It appears Washington is now saying an American attack on Syrian government forces and locations is all but inevitable. However, this time the stakes are much higher as Russia has built up an unprecedented number of warships in the Mediterranean Sea along the Syrian coast in response to prior reports that the U.S., France, and Great Britain could be preparing an attack.